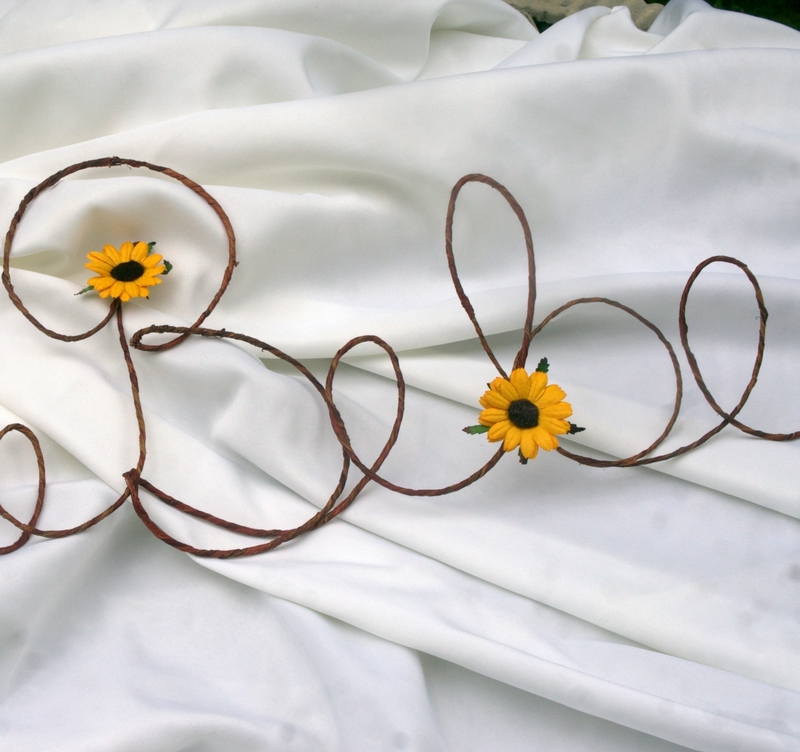 An oh so adorable Bebe sign crafted in grapevine wire and accented with sunflowers. Perfect touch for a baby nursery. This wire has an almost bouncy feel to it from the materials used. But it makes such a unique and unusual touch to a rustic baby nursery or baby sprinkling. I am also able to customize the text for you. Just send me a message for a quote. This style and material is perfect for woodland and nature themes, fairy tale decor, pirate, sea themes, beach decor and much more. Made out of sturdy gauge grapevine wire and mulberry paper sunflowers. Pictured sign measures approximately 18 inches in width and 5.5 inches in height.